Visit the Journey to Spaatz page to download our printable flyer for your squadrons! 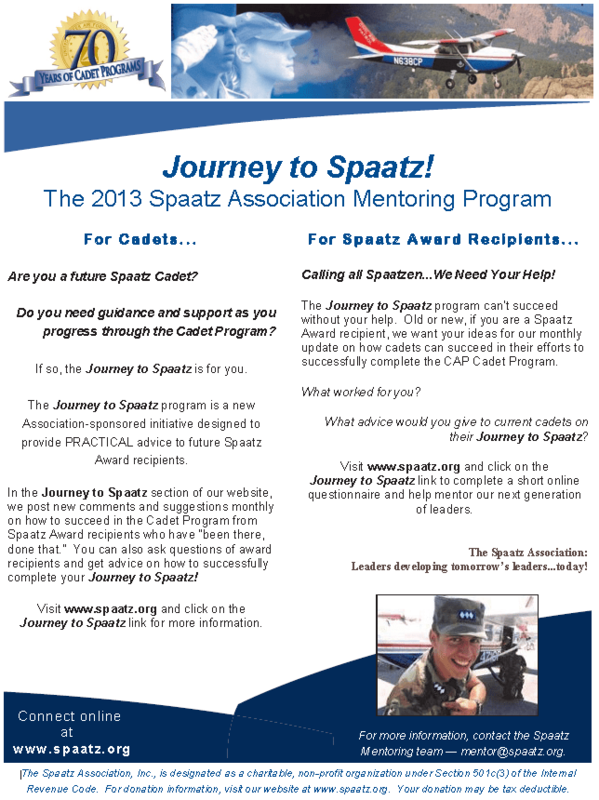 The Spaatz Association is proud to announce its first 2013 Mentoring Initiative — Journey to Spaatz. To learn more or to contribute, visit Journey to Spaatz!